All ticket sales and information online at https://scgalabenefittournanment.ticketleap.com/sc-girls-wrestling-gala-benefit-tournament. 100% of the entry fees will be donated to Make-A-Wish on behalf of Kyleigh Dean. This is a USA Wrestling sanctioned event No Card Tournament. Girls Folkstyle and Guys Freestyle age 4-18 madison weights. Entry fee is $20 with awards for the top 3 per bracket. Spectator fee is $5 with a concession stand available. Weigh-ins and Medcheck:7:00 - 8:00 am. Wrestling starts at 9:30 am. Register on Trackwrestling and event will be live (No Video). High Point Academy - 6655 Pottery Rd. Spartanburg, SC 29303. Event Director: Brandy Green (864) 616-9855. 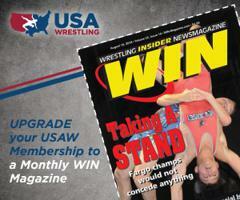 SC-USAW announces new Awards and procedures. In our efforts to improve each year and provide a better tournament experience. SC-USAW is doing some pretty exciting stuff. For starters all tournaments will be 3-style (Ironman). This has been brought about from our hosts wanting to provided the opportunity for more Folkstyle wrestlers to check out Freestyle and Greco. All Host are providing Custom Ironman Awards for their specific tournament, to be presented at the Freestyle and Greco State Championships on June 1st. You will still get top 3 placement medals for the 3-styles at the tournament provided by SC-USAW with podium presentations. 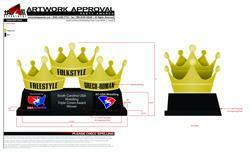 Then we are still providing a belt for the double winners of Greco-Roman and Freestyle State Championships. This year SC-USAW will be providing a new style of belts, similar to the Belt Point Series belt. Be the highest placing South Carolina Wrestler in your Age and Weight Class in the SC-USAW Folkstyle State Championships on March 16 at Fort Mill High School. Be the highest placing South Carolina Wrestler in your Age and Weight Class in the SC-USAW Greco-Roman State Championships on June 1st at White Knoll High School. Be the highest placing South Carolina Wrestler in your Age and Weight Class in the SC-USAW Freestyle State Championships on June 1st at White Knoll High School. It is just that simple. You must be at all of the above mentioned events to qualify. Just remember, all Ironman awards, Belts and Triple Crown Trophies will be presented at White Knoll on June 1st for the Freestyle and Greco-Roman State Championships. Don't forget to bring your shopping carts and dump trucks to take home all of your winnings and awards on June 1st. SC-USA Wrestling has established SRTCs. These SRTCs have the full support of SC-USA Wrestling and we encourage all athletes to take advantage of this opportunity. We are current working on getting our National Teams Trip packages together. We are putting teams together for the following events. Pre Season USAW Folkstyle October 26-28 in Des Moines, IA. 1st grade through HS and HS Girls. Folkstyle Tour of America: Southern Grind January 18-19 in Cartersville, GA, K-Middle School, True Beginners and Girls Folkstyle. USMC Girls Folkstyle Nationals: March 21-24 in Oklahoma City, OK, K-12/ Girls Junior Folkstyle Duals. Cadet/Junior Dual Team and Women's Dual Team will participate in the East Coast Duals in Concord, NC. 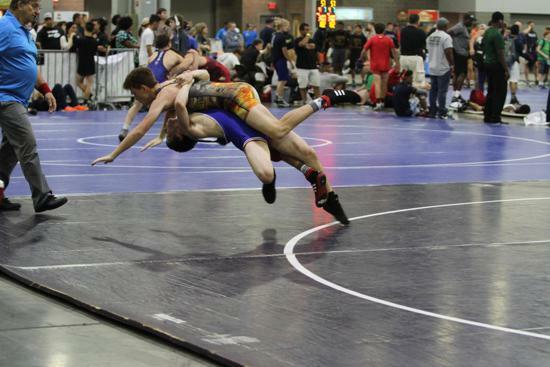 Junior Duals in Tulsa, OK will consist of two (2) teams, one men and one women. USMC Cadet & Juniors Freestyle and Greco National Championships in Fargo, ND. July 12-19. Clothing Package will be priced separately from the Trip Cost. Depending on the vendor chosen, there may be a team store order from or all orders will have to go through the national team director. All athletes will have to have a Prepaid debit card for food. Parents and athletes will be responsible for the athletes food. Trip prices will be posted as soon as they are available. If you missed an article that was posted on our website, please check out our new archives "SC USAW Article Archives". This page was recently created so we lost some earlier articles, now we are moving stories from the home page to the archives. This way you can still visit stories you may have missed. The Archives is under the "News" Tab. The Registration "Home of South Carolina USA Wrestling" is not currently available. SC Wrestling would love to hear about any South Carolina Wrestler (Current or Former) in any style. 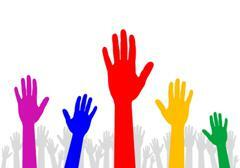 If you have a story or an accomplishment and would like it posted on this website. Please email Robert Delgado at delb4s@aol.com use the subject Story for South Carolina Wrestling then send me your story along with pics. I will do my best to get it on the page. ©2019 South Carolina USA Wrestling / SportsEngine. All Rights Reserved.